“Eureka” was a genre-bending series, held together by a uniquely charming combination of comedy, emotion, tension and deeply involving characters. A smartly written piece of speculative fiction, it boasted storylines grounded in scientific reality, but never allowed the science to bog down the relationships that had us tuning in week after week. Like “Star Trek: The Next Generation,” “Eureka” benefited from the constraints of episodic formula and then delighted us when it deviated from the norm. 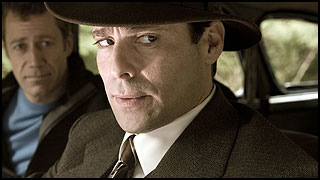 The show took place in a fictionalized Pacific Northwest town, a secret site for technological development for the United States government filled with super-geniuses creating cutting-edge technologies.Sherriff Jack Carter enters the mix – a far cry from a super-genius, but a guy with real-world smarts and a talent for spotting the simple solutions that often elude the brilliant scientists. 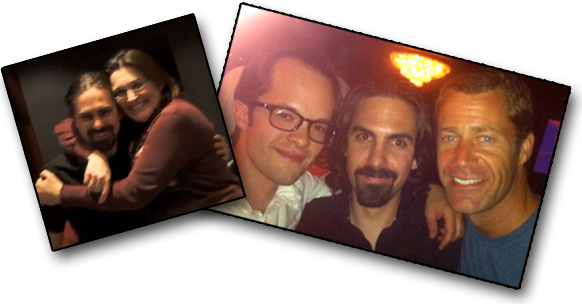 Viewers fell in love with the quirky citizens, whose complex relationships quickly became the addictive focal point of the show. Even supporting characters worked their way into our hearts, especially when portrayed by well-known genre stars such as Wil Wheaton, Felicia Day, James Callis, Wallace Shawn and Matt Frewer. 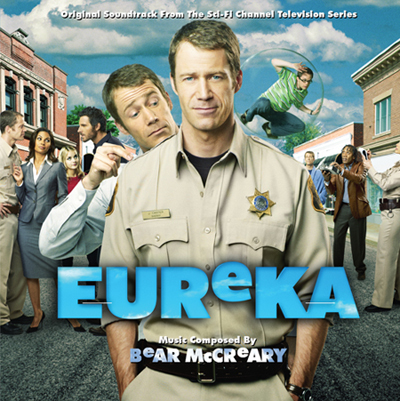 Despite the occasionally formulaic plot structure, “Eureka” was hardly a static procedural. The series evolved in surprising ways over its five-season run. In fact, I was one of those evolutionary mutations! I came to the show at the start of the second season. “I have been unbelievably fortunate to have some of the most talented people in television working on ‘Eureka,’” said series co-creator and executive producer Jaime Paglia. The producers and I re-imagined the sonic texture of the series with new instrumentation and character themes (retaining Mark Mothersbaugh’s catchy main title theme from the first season). 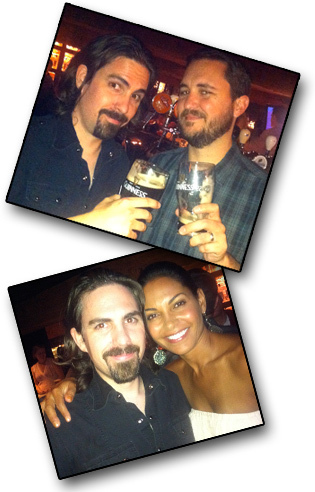 I remained on the show all the way through tonight’s final episode, and yet even my music continued to evolve. Scores for later seasons sound a little different than my earlier work, though the use of strong character themes throughout unifies all four seasons for which I composed. My score for the second and third seasons took influences from several diverse aspects of the show and unified them into a single sound. The series’ advanced technology was represented musically by various electronics, including custom-sampled 8 and 16-bit synthesizers (this preliminary r&d for “Eureka” would pay off handsomely with later “retro” scores, including Dark Void Zero). The backwoods location was signified by acoustic guitars, accordion, melodica and rhythm section, often infused with Cajun-Zydeco rhythms. The emotional aspects of the show were underscored with strongly identifiable character themes, that recurred from episode to episode. These off-the-wall sonic combinations can be heard on the only currently-available soundtrack album of my “Eureka” score, still available on CD from La-La Land Records for less than $5! The album is still one of the most fun records I’ve ever put together and is definitely worth picking up. At the start of the fourth season, producers Jaime Paglia, Todd Sharp and Bruce Miller radically shook up the narrative with a daring time-travel plot arc that essentially rebooted the series. Characters were forever changed, and the procedural format of the series was basically jettisoned. Entering its fourth season, with a dedicated fanbase, “Eureka” was free to take itself more seriously – and generate even bigger laughs along the way. Similarly, I was encouraged to expand upon the zany style of my past two seasons of score and start anew. I paired down the diverse musical influences and focused more on purely emotional writing. The zydeco / bluegrass elements were pushed to the background and the electronics were almost entirely dropped in favor of a more acoustic, organic approach. However, all the characters themes remained, and often expanded with new variations to follow new story arcs. Starting in season four, I was pushed out of my comfort zone on a nearly episodic basis. Episodes became mini-movies, complete with their own tones and, on occasion, instrumentation. Like with “Battlestar Galactica” before it, I found myself frequently re-inventing the scope of emotions I was writing for, and the styles I was writing in. For a memorable Stan Lee cameo, I quoted the iconic “Lonely Man” solo piano theme from the classic “Incredible Hulk” series. This was a heartfelt nod to the late Joe Harnell, composer of the theme and one of my mentors from my USC School of Music days. And, of course, there were the two outstanding Christmas specials, which I chronicled in two blog entries: O Little Town and Do You See What I See?. The epic orchestra-anime-hybrid conclusion to Do You See What I See? is among my personal favorite cues I’ve ever written for this or any series. Last summer, “Eureka” fans went on an emotional rollercoaster ride. First, an abbreviated sixth and final season was announced. However, within days, fans were shocked to learn that the show had instead been unceremoniously cancelled and would end abruptly after its fifth season. The announcement came so late in production that virtually no revisions could be made to the originally scripted season finale. Were it not for the tireless efforts of the producers and everyone at SyFy, the entire series could have disappointingly ended with last week’s huge cliffhanger: an episode written with the assumption there would be a follow-up season. 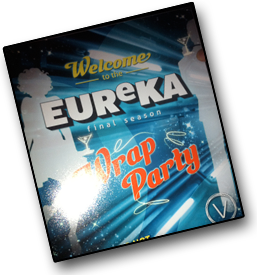 Like all the rest of the fans, I’m grateful to Mark Stern and everyone at SyFy for working against the odds and making one final episode possible, to give “Eureka” a proper send-off. We never got the chance to write that full musical episode. 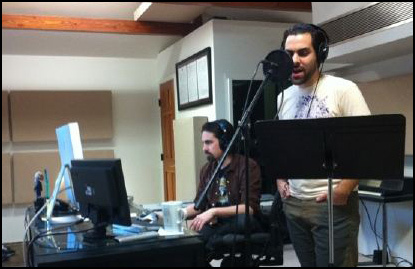 However, Jaime and I did collaborate together on a song to end the series. Just Another Day wraps up with a montage of all our main characters. Early in the process, it was clear a song would tie the various images together and provide the necessary emotional punch. 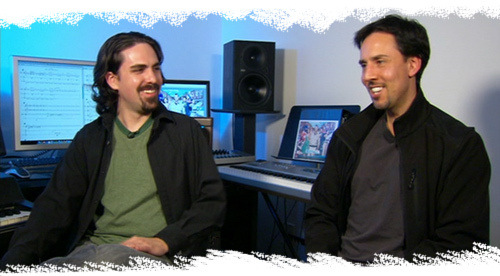 Eureka fans have stuck with us through the years, and so we’re happy to give you all a special musical treat tonight! “You Are My Home” is available for download from iTunes. 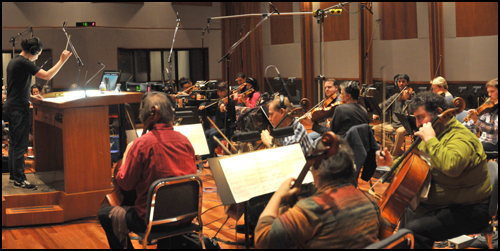 From everyone who worked on the show and the score, I can say we all hope you enjoy “You Are My Home” and that it brings back many fond memories for years to come. 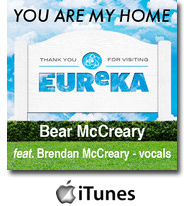 “You Are My Home” is my first released music from “Eureka” since the season two soundtrack album four years ago. I’m hopeful it won’t be my last. I’m entertaining the idea of releasing some more material from the huge body of work I’ve created over the past four seasons. Would a Christmas album of music from the two holiday specials be something you’re interested in? A little fan support is always helpful in trying to get soundtracks going, so chime in. The idea was not that landing a first gig is an easy task (of course it is not), but that a single credit on your filmography doesn’t necessarily inspire any more confidence from prospective employers than having none at all. One gig could be a fluke. This thought resonated with me, especially in the year after I began composing “Battlestar Galactica,” which was my first truly professional assignment. At the time, I had no assurance I would have any career to speak of when “BSG” ended. Knowing that “BSG” would eventually conclude, I had to be perfectly prepared to return to being an assistant, an orchestrator or a semi-pro when it was done. Landing that sophomore gig was proving elusive. In 2007, I felt no security whatsoever that I’d still be employed writing music in a year, let alone five years or beyond. “Eureka” changed that. My sole credit at the time, “Battlestar Galactica,” was about as far away from the tone of “Eureka” as is imaginable. I was hardly the ideal candidate to take over scoring duties for a quirky comedy. Nevertheless, the producers took a chance on me and turned their series over to a relatively untested newcomer who had never scored a comedy. I don’t know if securing that second credit really made a difference in other people’s estimation of me, or if it just gave me more confidence. But, Elmer was right. “Eureka,” the hard won “second gig” seemed to elevate me from being seen as a one-trick-pony wunderkind to a plausible candidate for scoring jobs. Other series, games and movie offers began trickling in almost immediately. I only wish Elmer had been around to see his prophetic words come true for me. 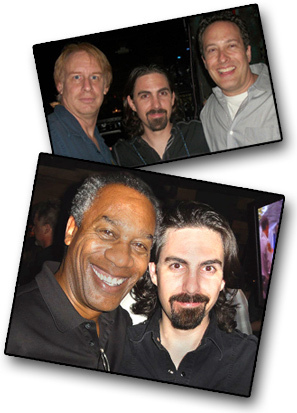 I am grateful that I had the chance to work on “Eureka” for the past four seasons, because it brought me closer to so many remarkably talented individuals. 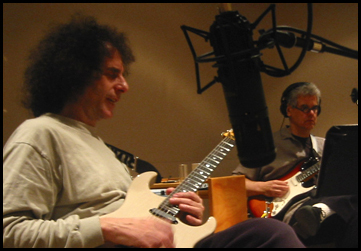 The experience helped cement my relationship with fabulous musicians, including M.B. Gordy (percussion / drums), Steve Bartek and Ira Ingber (guitars), Chris Bleth (woodwinds), Peter De Siena (trumpet) and Doug Lacy (accordion). 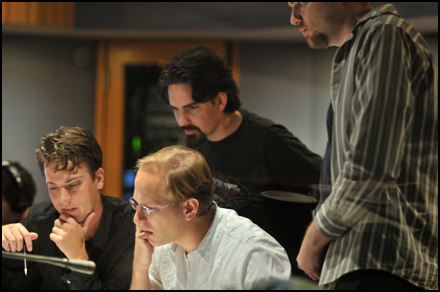 My music team rose to the challenge, especially Steve Kaplan (engineering), Tom Brissette and Laurence Schwarz (additional engineering), Jonathan Ortega and Michael Beach (additional music and production), Ed Trybek and Henri Wilkinson (orchestration), David Matics, Andy Harris and Kevin Porter (assistants), and Peter Rotter (contracting), among many others. I also got to work with and learn from incredibly resourceful writers, producers and directors, including Jaime Paglia, Todd Sharp, Charlie Craig, Bruce Miller, Amy Berg, Matt Hastings, Steve Welke and science advisor Kevin Grazier among others. Last, but not least, I owe a big hug to all of you, the fans. Thanks for visiting us in Eureka. Come back soon.